Watch this space….Rudgwick Primary School have just launched a new outdoor learning area. Photos and more information to follow shortly! To learn more about this school go to www.Rudgwickprimaryschool.org.uk. 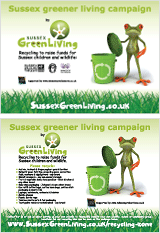 This entry was posted in Eco School Rudgwick, Eco School Sussex blogs. Bookmark the permalink.